Nick and I are just winding down from the madness of Christmas orders, and we’re definitely gearing up for an excess of food, parties with friends, catching up with the family we only see once a year, presents, smiles, and, of course a week at the Woodford Folk Festival! With that in mind, I thought it was time to pop by and let you know that we’re having a little ‘making break’ as per usual over the Christmas/New Year period. 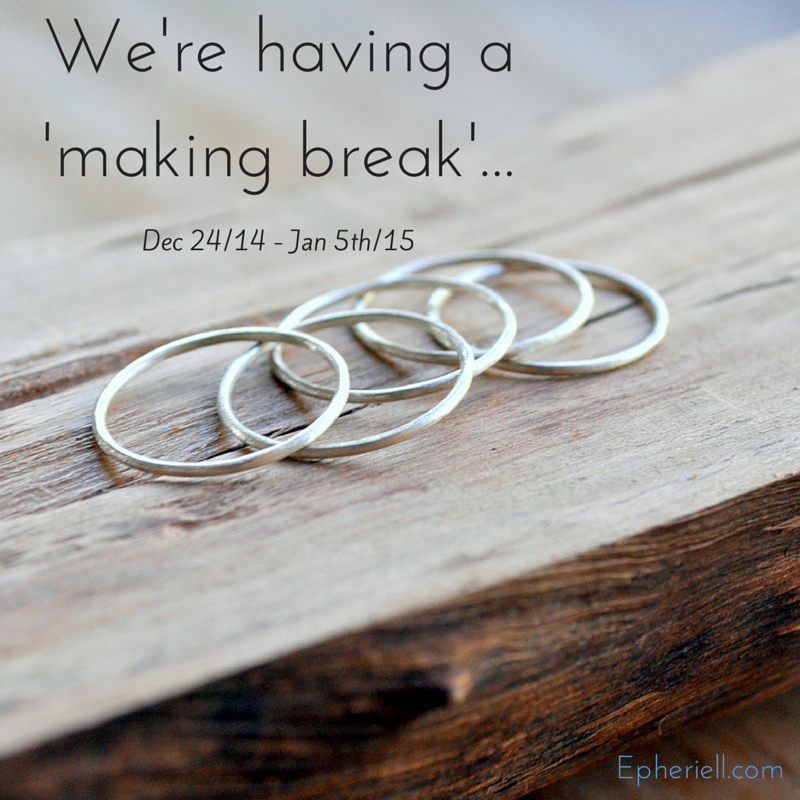 The shop will remain open, but we won’t be working on any orders during this period – which is December 24th, 2014 to January 5th, 2015. What does that mean for you, if you decide to indulge in a little New Year’s shopping? If you place an order on or prior to December 23rd : your order will be made and shipped by the end of that week. If you place an order on December 24th through to January 5th, your jewellery will be in the queue to get made come January 6th. It will be posted and in the mail to you within 5 working days of that date. We’ve had a freaking awesome year – thank you so much for supporting our little business in 2014! You really do help us to ‘live the dream’ each and every day, and we couldn’t be more thankful that you choose to spend your hard-earned money on one of our designs. It means the world to us.